Western Zippety is a fantastic narrow trail that hardly gets used. 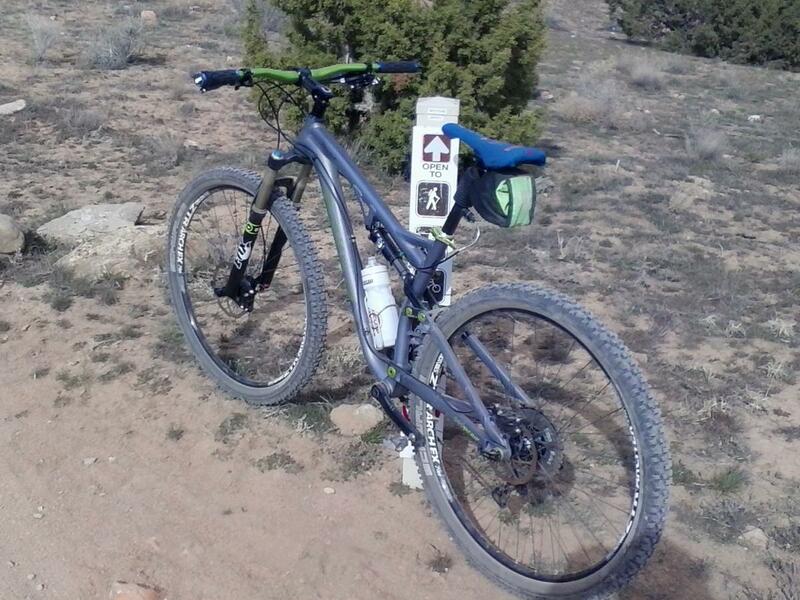 It is mainly used to get to the Frontside trail or back to the main TH parking area. It is a fun, rolling, non tech singletrack on the perimeter of the trail system. I prefer to ride this trail back to TH from Frontside. Take the singletrack from the SW end of TH parking lot to the jct. with Zippety Do Da and then go left. This will run into a doubletrack(1.3 mi), go right. After another 1.6 miles take a right onto marked singletrack Western Zip. This will intersect Frontside at the base of the Book Cliffs. You can return the same or connect to Joe's or Zippety or Kessel Run. Have fun. Review: Zipp-Off and Western Zippity are the intermediate, cross-country style trails of the 18 Road network. They have little technical interest but are not bad climbing singletrack - the gradient is mostly steady. Once you reach the top, the style changes dramatically when you hit Frontside. The usual loop is to go down Zippyidy Do Dah but that is an advanced trail so you could persevere with Frontside and return down Joe's Ridge or the Kessel Run. Review: Really narrow singletrack connecting to Frontside. Fun gradual climb to the end and real fun coming back. Some 2 track to start. 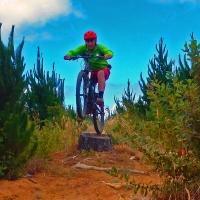 Western Zippety MTB Trail 3.50 out of 5 based on 2 ratings. 2 user reviews.